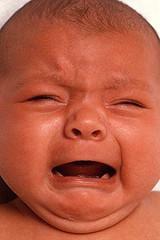 No one likes a cry baby and that is the way Google was perceived by many when Google told on Bing for 'cheating' in early February. If you missed the story you can read it here but in short, Google noticed Bing was looking at the searches people conducted at Google via their IE browser. Microsoft denied it was cheating and some called Google childish and immature. But who came out looking worse? Google or Bing? I ran a poll and received around 700 responses. Truth be told, most people felt Bing came out worse, with 52% of the responses saying it was Bing. But Google did not come out squeaky clean, 30% felt Google looked worse. While 9% said booth look really bad, another 9% said they simply do not care. 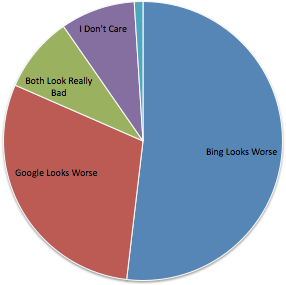 Here is the break down of the question "Who Looks Bad: Google Or Bing Over "Cheating" Spectacle?" Forum discussion at Sphinn, DigitalPoint Forums, WebmasterWorld, Google Blogoscoped Forum & Google Webmaster Help. Image credit: Brandon Baunach on Flickr.